Did you know that...College educated women are testing below 50% for financial literacy, 90% of women feel somewhat financially insecure, and women report significantly more financial stress than men? Chicks Building Nest Eggs will be a fun, interactive evening that will increase your financial knowledge and enable you to make better money choices and decisions for yourself and those you love. You will leave with actionable strategies to "feather your nest"� and you will leave feeling energized and empowered to take control and build financial nest eggs for your future. Focusing on more than just Retirement Planning, Chicks Building Nest Eggs will introduce a Financial Pyramid which will cover the following financial topics: Financial Foundation, Lifestyle, Growing your Money, and Managing your Money. Financial Planning tools such as checklists and worksheets will be provided to assist in developing your Financial Plan. Lisa has over 25 years of financial services experience designing integrated, strategic solutions for high net-worth individuals and families, corporate and foundation clients, and institutional investors. She provides comprehensive financial planning and wealth management, including investments, Social Security & retirement income planning, legacy & estate planning, divorce planning and charitable gifting strategies. Lisa's passion is to educate and empower clients to reach their chosen goals through all phases of life. Lisa received her Bachelor of Science Degree in Business Administration with an emphasis in finance from West Virginia State University. Lisa is a Certified Financial Planner (CFP) professional and holds the Chartered Financial Consultant (ChFC) designation. Lisa has previously held senior leadership positions at two financial planning firms as well as Duke University Management Company. Lisa serves on the Durham County Womens' Commission, the Board of Women Starting Over After 50, and teaches Legacy Planning & Charitable Giving at the Duke University Osher Lifelong Learning Institute. Lisa is a member of First Presbyterian Church and an avid golfer. 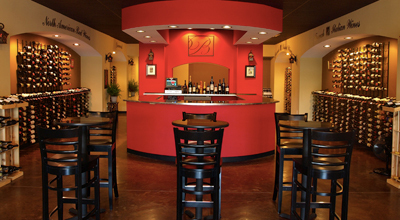 BrandyWine Cellars is in the Renaissance Center, across Fayetteville Road from the Streets of Southpoint Mall in Durham, NC. Once in Renaissance Center, It is located across the main parking lot from David's Bridal and REI.